About an hour away from London lies the city of Hove. Hove is a beautiful beach city in East Sussex, England, immediately west of its larger neighbor Brighton. In 1978, the Rebbe launched a campaign to print the Tanya in every city and location around the world. 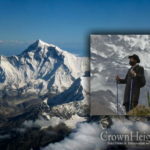 The founder of Chassidus, the Ba’al Shem Tov, taught that when the “wellsprings of Chassidic teaching” reach the farthermost areas, Moshiach will be ready to come. 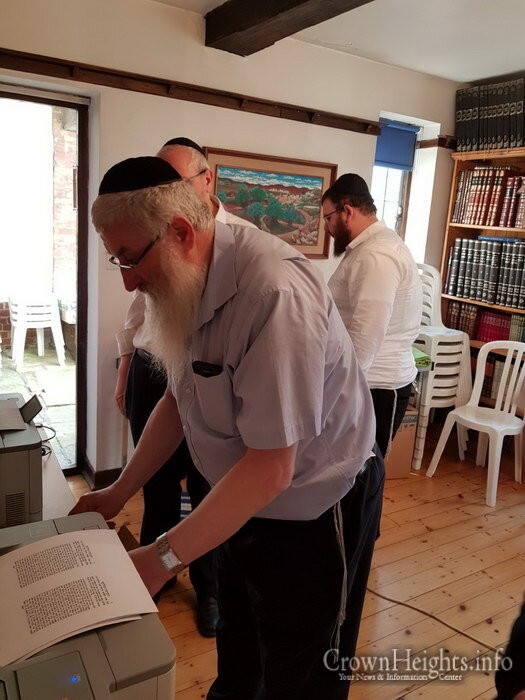 The Rebbe explained that the printing of Tanya in a place has a tremendous impact on that place, bringing increased spiritual awareness to the people living there. 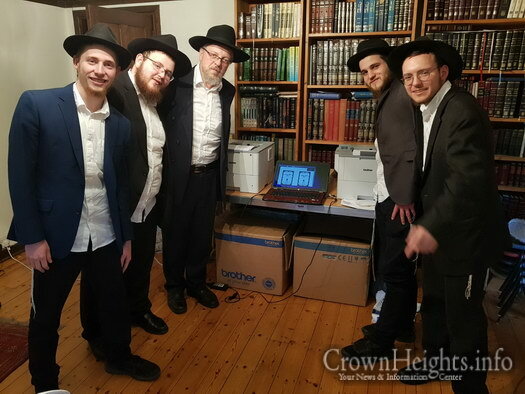 This past Sunday Anash and Shluchim gathered at the home of Rabbi Pessach Efune the Shliach to Brighton/Hove to print a Tanya for the very first time. 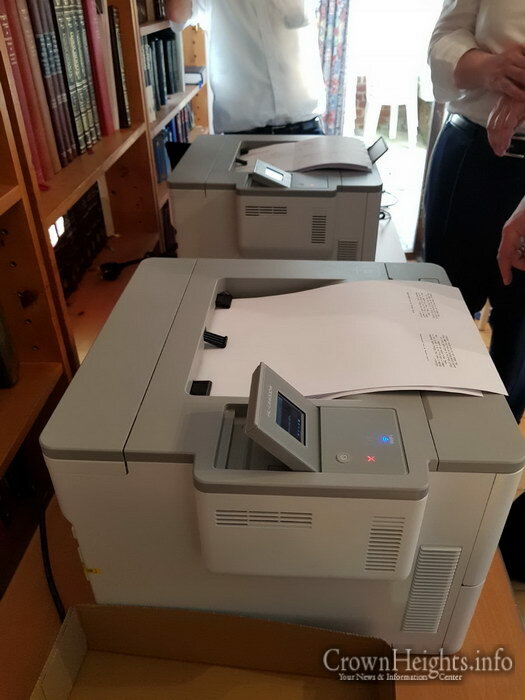 A Special thanks to Reb Getzel Itzinger and Reb Avrohom Weiss and to the Shluchim to the Yeshiva Ketana Lubavich London for arranging the Printing. 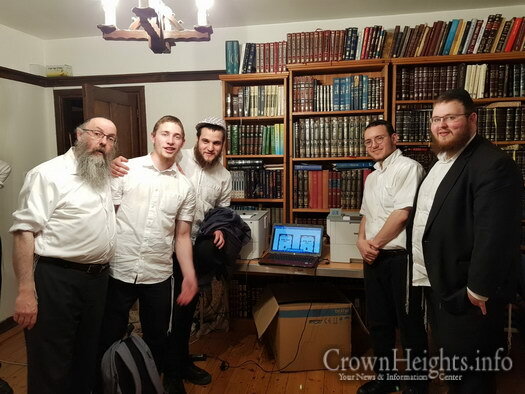 Amazing work the shluchim of mechina are doing! Learning with bochurim, making mivtzas, and now this! Keep up the good work. Go mendel Plotkin!! The most chassidishe bocher out there !!! Wow you are amazing !!! This place was amazing and is even more amazing and awesome now. 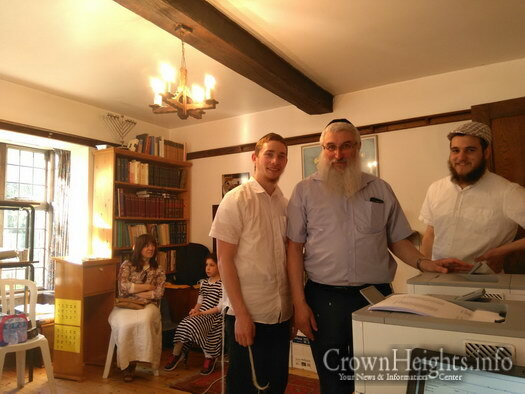 Rabbi zavdi knows how to find really great shluchim, the bochurim are really lucky! Kol hakavod to the shluchim of ykl London ! You mamash bring the chayos from New York, berlin and California to golders green every single day! 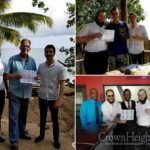 And you don’t even stop there – you spread it out to Bristol and Brighton and even hove! The Rebbe has so much nachas from you all, keep up the great work! Wow! this is very special, who are these bochurim in the picture? Go Chaim Levilev!! Best bochur in Lubavitch!! Duh it’s in Europe! That’s the problem these days, people don’t know basic geography. I’m pro not learning chol as a school subject but basic knowledge must be taught! #8You state that London is in Europe but do not state in which country in Europe creates a doubt if you with your education know where London is. There are more than one citi named London. DUH some of them are not in Europe.Was your education beyond the 3rd grade?